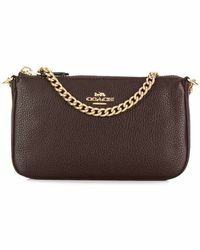 The Coach brand is an exciting name in leather goods, coming from a history of fine and innovative leather working tradition and developing an aesthetic that is forwarding thinking and trend focused. 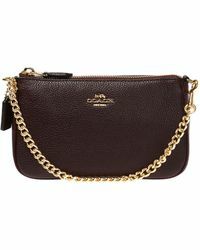 From innovating its very own type of leather through to the range of fresh colors that are used on Coach products, this is the perfect brand for shoppers who are looking to combine tradition and contemporary style. 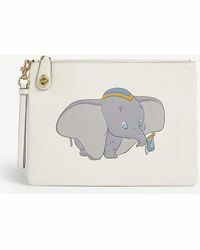 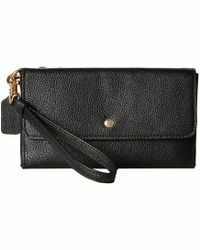 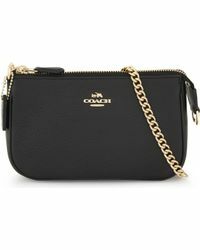 The line of clutches has plenty of color options and each one bears the horse and carriage logo of the brand, whether embossed into the leather or embellished onto the bag. 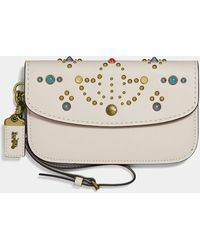 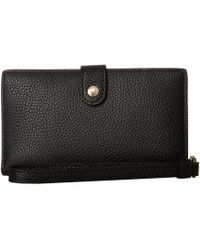 A diversity of different leathers illustrates the brand's mastery with this fabric and the designs offer many options, from wristlets to pop ups.